Congratulations to our 2018-19 National Honor Society Inductees! 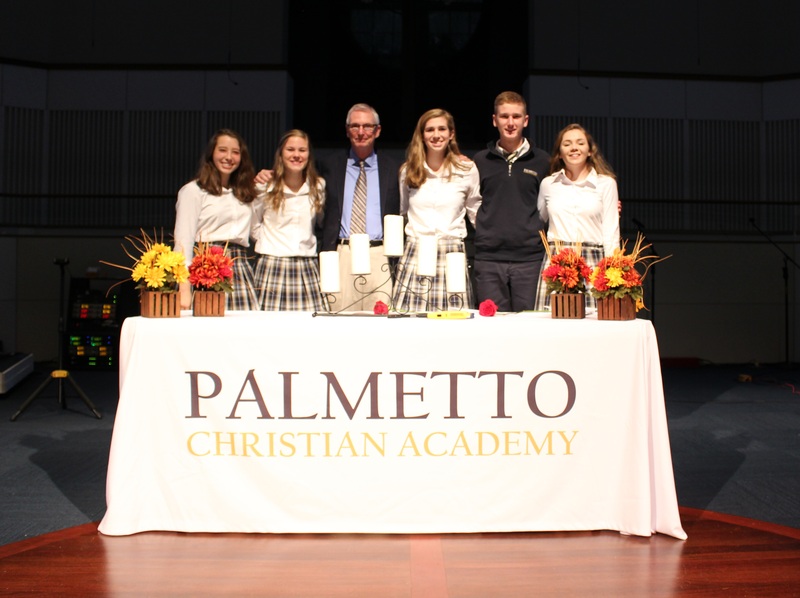 Our newest members were inducted just prior to the Thanksgiving break into this premier organization which recognizes outstanding high school students across the nation. NHS Advisor, Bill Schenkel, and NHS officers officially inducted each new member and challenged them to continue the path of active involvement in education and the community. "This is a school honor which shows a total commitment to hard work to reach an academic goal," says Mr. Schenkel. "The pillars of NHS are Scholarship, Service, Leadership and Character." Congratulations to the following inductees: Madison Broach, Abby Buckingham, Ellaree Estes, Benjamin Fauteux, Tyler Fragola, Alyssa Godwin, Ansley Gresh, Olivia Horne, Katelyn Howard, Rachel Jackson, Adam Kasian, Olivia Martin, Emma Matthews, Gabe Moser, Grace Nims, Gabi Noce, Ava Romfo, Carson Rourk, Connor Rourk, Olivia Seitz, Cameron Sheets, Wyatt Shogren, Eliza Sloan, David Swift and Erin Wayman. 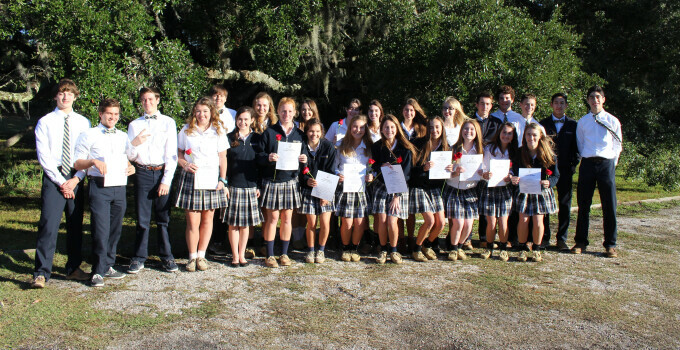 National Honor Society chapter is involved in two major service initiatives in the community.. the Lowcountry Pregnancy Center Walk for Life in the fall and Water Missions International's Walk for Water in the spring.